I am originally from Toronto Canada but now live in North Port Florida with My wife Jen and our 8 dogs and 2 cats. 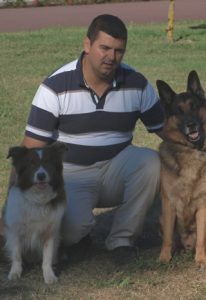 I discovered the wonderful world of dog agility in 1997 and have enjoyed competing for the last 20 years. I’ve been fortunate enough to compete in 4 national finals with 4 different dogs. After retiring from my day job in 2013, I started my career in judging. I’ve been fortunate to judge the Canadian Open twice and US Open once and I’m very excited to accept the invitation to judge on one of the greatest stages in agility, the WAO. Thank you to the WAO team for this opportunity. I believe in designing courses that let dogs “open up and run” but present challenges at speed for the handler. I look forward to seeing the Worlds best compete at WAO 2019. I have been working with dogs since 2009, when my wife and I decided to open our own Centre for Dog´s in Asturias in the north of Spain. Our goal was to promote Dog Agility in this region of Spain. In the last several years, we have celebrated two Spanish Championships and other important national competitions in this region that have been attended by a lot of competitors. The World Agility Open was held in Asturias in 2013 of which I was involved with as well as working in the organization of the FCI AWC in Spain in 2016. I started to compete in agility with my German Shepherd Charly in 2009 and now I have a Spanish Water dog. However, above all this I love to judge. I enjoy thinking about different paths for the dogs, always bearing in mind the safety as well as the enjoyment for both dogs and handlers. 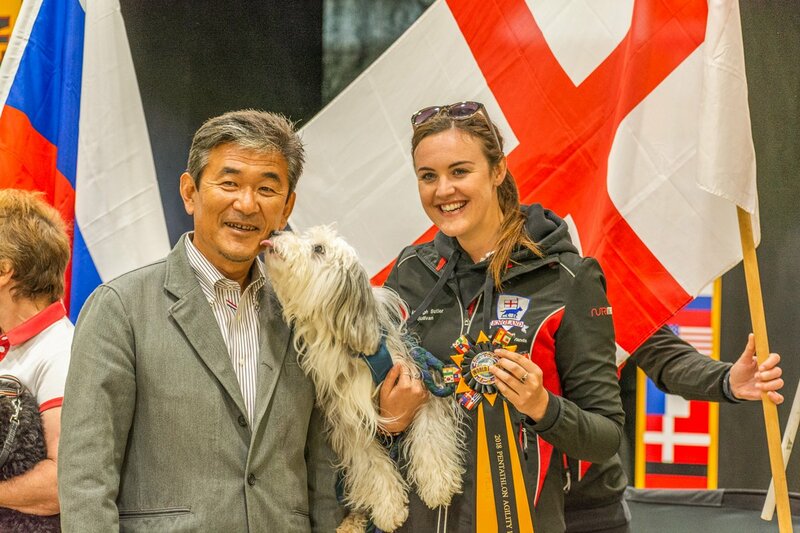 I feel very proud to be one of the Judges of the World Agility Open in 2018 and I am very thankful to the organization of this great event that promotes freedom in agility all over the world. 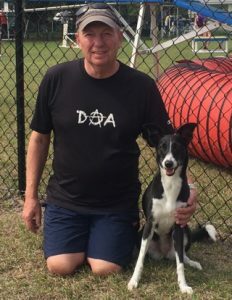 In 2019 it will be 30 years since I started agility classes with my first dog. It soon became a life-changing obsession and the once I.T. 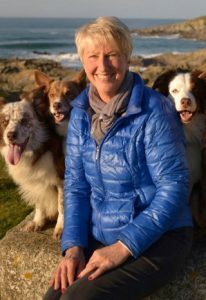 consultant became a full time dog trainer and behaviourist. I have been judging for 25 years and maintain that the judge has the best seat in the house. I believe it’s a privilege to experience the excitement and emotion of every dog and handler in close-up. My philosophy when designing courses is to play with the handler’s head but never with the dog’s body. I have had 17 agility dogs, all sizes, mostly rescued crossbreeds and of varying abilities but have recently treated myself to shiny new Border Collies. I cannot boast of prestigious wins at big finals but all my dogs have performed to the best of their and my abilities and I am proud of our achievements. Regulars at previous WAOs may recognise me as the coach of the Italian Squad for the past six years. I have been teaching and judging in Italy since 2006 and have also taught in the U.S. and South Africa. I am thrilled to have been asked to judge at this wonderful event and I look forward to enjoying watching each and every one of you running my courses.